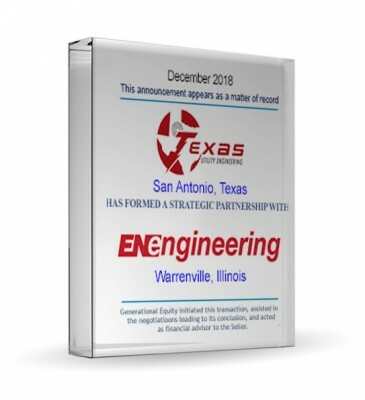 Generational Equity is pleased to announce an investment in its client, Texas Utility Engineering Inc., by EN Engineering LLC. 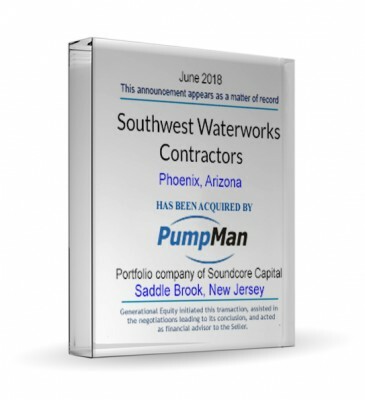 Generational Equity is pleased to announce the sale of its client, Southwest Waterworks Contractors Inc., to PumpMan Holdings Inc.
Generational Group is pleased to announce that 2018 was a record year for the firm, with an 8% rise in the number of transactions closed over 2017. 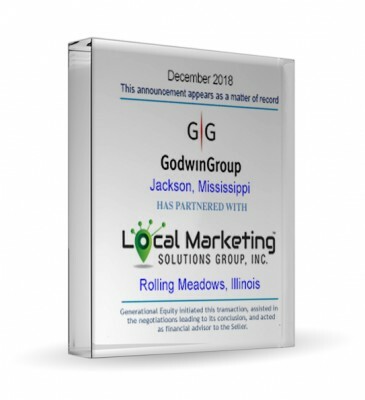 Generational Equity is pleased to announce the formation of a partnership with its client, GodwinGroup and Local Marketing Solutions Group Inc. (LMSG). 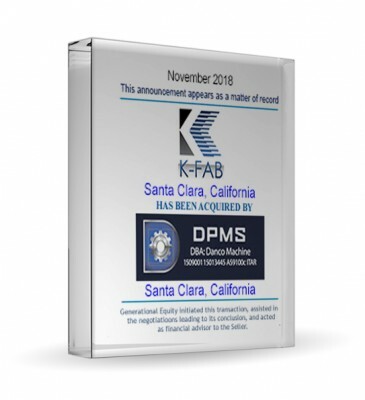 Generational Equity is pleased to announce the sale of its client, K-Fab Inc., to DPMS. 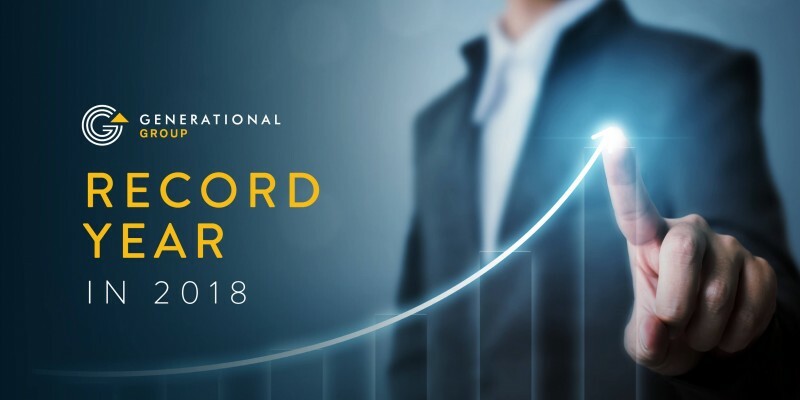 The acquisition closed November 29, 2018.